Ask Anna: How have female body ideals evolved over the years? — Anna Akbari, Ph.D. In the earliest of history, the standard of beauty was to be as heavy as possible. This was centered around the importance of survival, fertility, and procreation. These duties were exceptionally important, as the life span was very short and survival rates were low. In ancient Greece, the standard of beauty was male. Women were not typically depicted naked during this period. They usually had a loosely draped cloth over their lower half. Then, through the Romanesque period, religious imagery was the focus of art and society. During this period, the visual expression of the female form was largely focused in religious art, as with the Madonna. During this long period of history, the style of the body seen in art was stiff and flat. 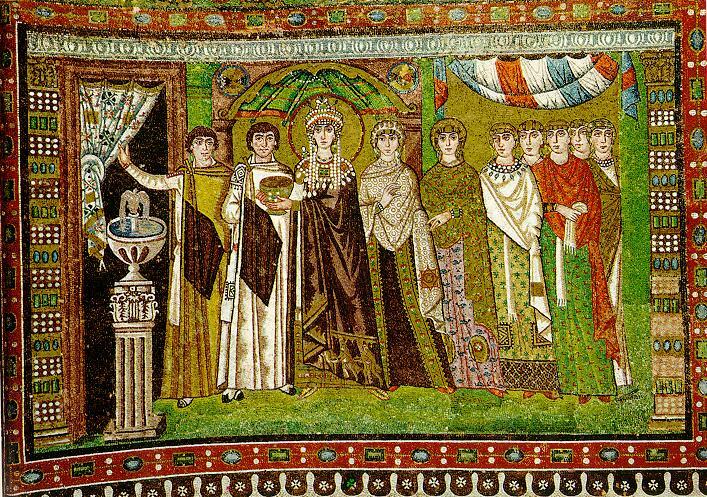 In the image above, a secular Byzantine piece of Theodora, you can see the draping of the clothes is beautiful, but the female figure is flat and lifeless underneath. Due to the strength of religion as a driving part of life at this time, the most beautiful bodies were thoroughly covered to show piety. 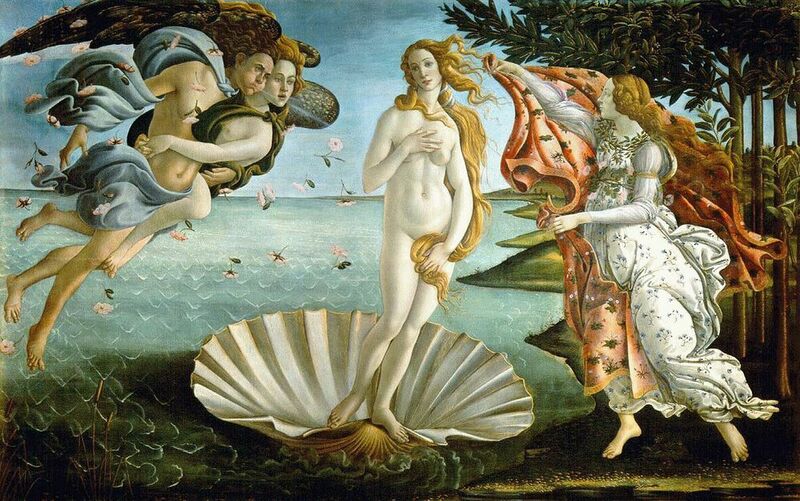 The standard of beauty for females became curvy with the rediscovery of ancient Greek and Roman ideals throughout the Renaissance. However, a small waist, with ample hips, served as the ideal during the Renaissance and beyond. When a woman was thin, it was assumed that she was poor. 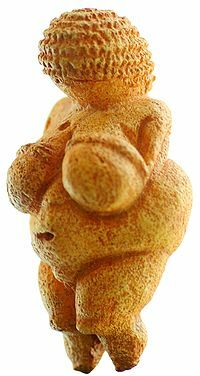 Curvier women were seen as wealthy. Significant hips showed that she was fertile. However, things began to change in the 1960s. The fashion scene took a turn with the model Twiggy (left), who became the face for an entirely new standard in fashion. Very thin became a new ideal. It is often thought that this new ideal of models is due to them being a blank canvas, a symbolic ‘hanger,’ off which to display the designer’s clothes. The Twiggy ideal has largely prevailed into the first decade of the 21st century. In the 1990s, this look was renamed the ‘waif’ look, also known as ‘heroine-chic.’ Kate Moss became an ideal form during these times. However, curvier beauties are making their way back onto the scene, with the likes of the toned and ‘booty-licious’ Beyonce and hourglass-figured Christina Hendricks. Recent research suggests that there is a universal waist-to-hip ratio that is seen as the most ideal: 0.7, with only a few countries showing a different preference. Throughout much of history, clothes were often used to match or enhance the standards of beauty. For example, the corset was used to create an ideal hourglass for several hundred years. In a similar fashion, although less significant in the scope of history, the bustle gave the appearance of a significantly larger backside. Today, women use Spanx to slim out their figures and have even begun purchasing a new style of jeans with padding in the backside to create a larger posterior. So whatever your shape, shake what your mama (or your padded clothing retailer-of-choice) gave you.